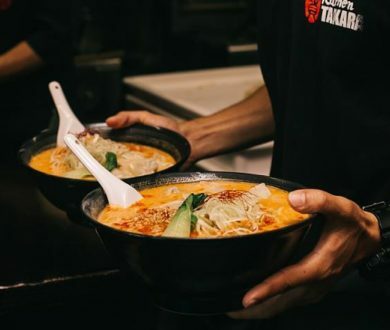 With the cooler temps clearly upon us, the cult-favourite Melbourne restaurant, Supernormal, have kindly offered discerning denizens the necessary know-how to make their very own ‘not-so-traditional’ but seriously delicious rendition of the slurpable bowl of comfort. To make the ramen broth, preheat the oven to 220 degrees Celcius. Chop the chicken wings into 3cm pieces with a cleaver. Put them in an ovenproof dish and roast for 30 minutes or until golden brown. Heat a chargrill pan over high heat. Cook the carrot and onion for 10 minutes on one side until well charred. Put all the broth ingredients, except the soy sauce, in a large stainless steel stockpot and bring to a simmer. Simmer for 2 hours to develop the flavours. Strain the stock through a fine sieve and add the soy sauce. 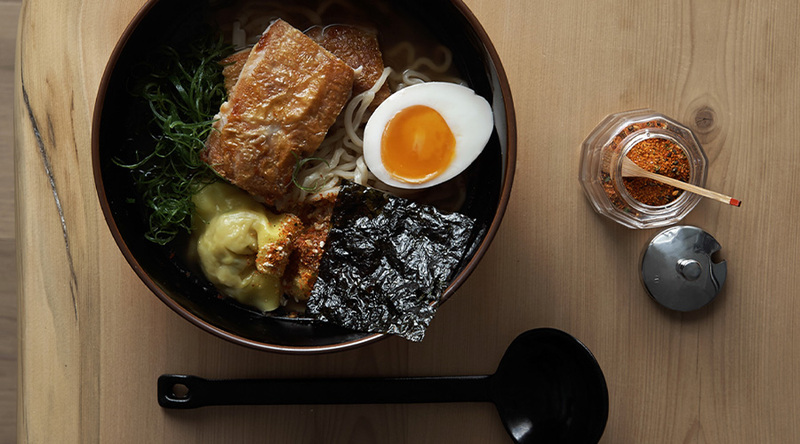 In a saucepan over medium heat, bring the strained ramen broth to a simmer. Reduce the heat to low. Heat the grapeseed oil in a non-stick frying pan over low heat. Place the chicken thighs, skin-side down, in the pan and cook gently for 5 minutes or until golden. Turn the chicken over and cook for a further 2 minutes, or until cook through. Remove the chicken from the pan and slice each thigh into 8 pieces. Meanwhile, bring a large saucepan of water to the boil. 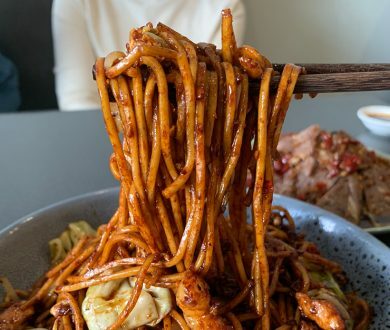 Drop the noodles into the pot and cook for 3 minutes. Strain through a colander. Divide the noodles between four bowls. Place 1 egg and 4 slices of chicken in each bowl, then divide the hot broth among the bowls. Top with spring onion greens and sprinkle with a combination of shichimi togarashi and ground sesame seeds. Finally, tuck 3 squared of toasted nori into the side of the bowl and serve. 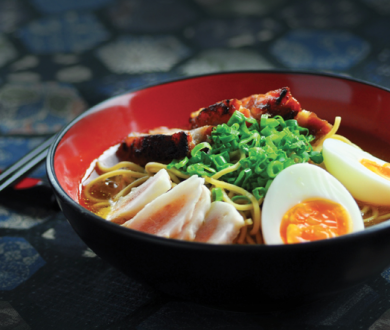 For more delectable recipes from Supernormal, get your hands on their cookbook here.